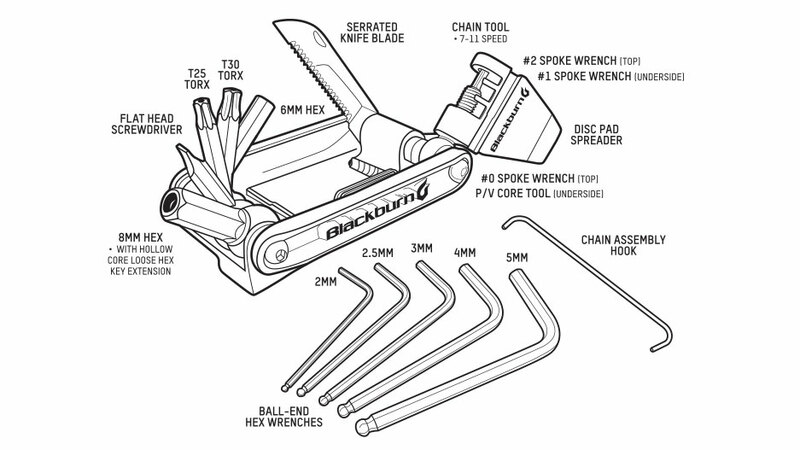 Saw the Blackburn Design Wayside Multi-Tool ($34.99USD) at Interbike and thought it was genius. There’s a point where multi-tools are simply unusable in many situations you find yourself in. Being able to use hex tools without the body of the tool attached is a necessity more often than not. The list of all the include geniusness is vast (included below video).